The 35-year-old’s first season with the green and golds was a huge disappointment as he struggled for form. 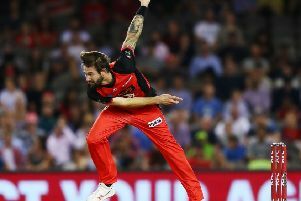 And it ended prematurely after he sustained a shoulder injury against Birmingham Bears in the opening Vitality Blast T20 group match. 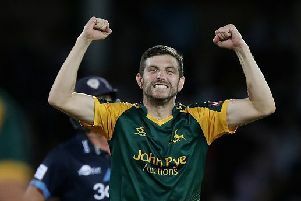 However, for the eighth winter running, the now fully-fit Nash has spent three weeks in Cape Town, working with former South Africa run-machine, Gary Kirsten. And now, after a winter of tough rehabilitation and the arrival of the rest of the squad for the pre-season tour, the former Sussex opener is champing at the bit to start putting runs on the board. “Last year didn’t go as I planned,” Nash admitted. “Both in terms of the runs I scored and also with the injury coming at a time when I was starting to feel good. “My aim is to be the top run-scorer at the club this year which, with the quality we have got, would not only be good for me but also for the team. “Coming into such a big club last year, and now bringing in all these new players, it pushes me even harder. “I’m now 35 and it’s the best thing for me, rather than potentially being in my comfort zone and seeing out my years. It gives me another push because I think we’re all fighting for places. While the new signings have left their impression on Nash, the experienced batsman has also been keeping a close eye on a member of the club’s academy who made his debut in 2018. “I’ve played against a lot of the new lads for a few years so I know them as players, but someone who has caught my eye over the winter is Lyndon James,” said Nash. As for his own pre-season preparations, Nash said: “South Africa is a great pre-season venue. I’ve been coming here since 2012 and it’s a great time to get outside, hit a lot of balls and go back to England feeling ready for the season.